#RetroTrains 073 and 071 pass through Rathpeacon with the 0805 Connolly - Cork RPSI "Munster Double" railtour. This is the first time for a pair of 071's to operate in multiple hauling a passenger train in the Republic. 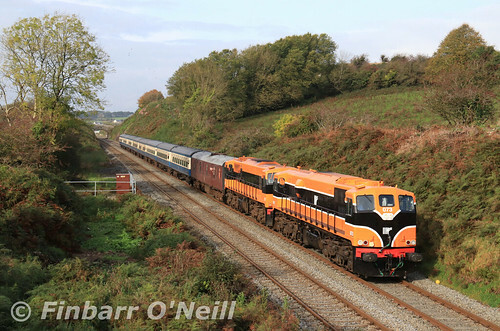 The tour will visit Tralee before heading back to Dublin Connolly.